TravMed Abroad Insurance provides comprehensive travel medical coverage to US citizens traveling outside of their home country. After the deductible is satisfied, the plan pays up to $100,000 for eligible treatments or services. Travel medical protection offered by TravMed Abroad includes outpatient treatment, emergency services, emergency medical evacuation, and more. 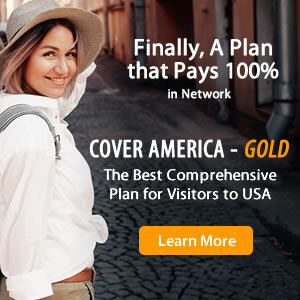 TravMed Abroad Insurance is best suitable for U.S. citizens traveling outside of the USA.